Brand New 6L MOTOR HOME CAMPING COOL-BOX + WARMER PORTABLE FRIDGE + HEATER The electronic cooling and heating box is specially designed for refrigerating or keeping food warm, It is perfectly suited for long distance driving journeys and camping. It features a portable capacity of 6L, with a magnetic clip base with 4 drink holders. 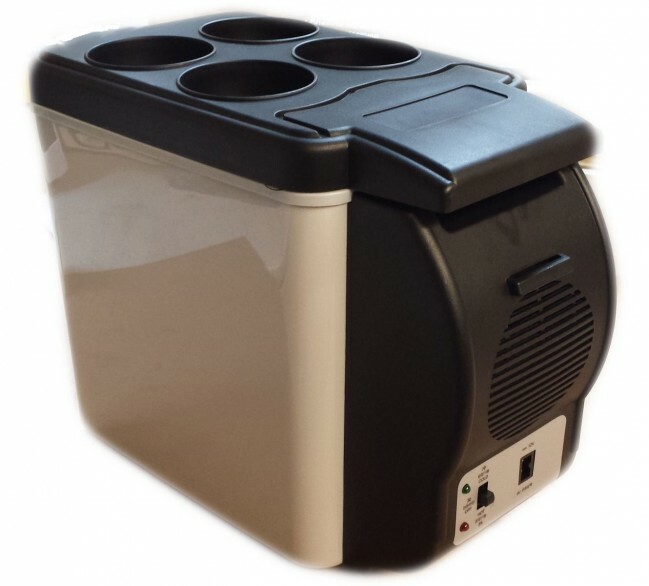 The multifunction box can also be used to keep beverages warm, It includes a heating and cooling mechanism which can easily be toggled from hot to cold. This allows it to be used for various tasks including keeping food and coffee warm, or cooling beverages. It comes fully equipped with a Car cigarette lighter adapter and a user manual.